I was looking forward to grabbing a few caches late this afternoon as it has been a long time since we’ve gone searching. I’m still feeling pain in my left hip and lower back. I thought a little walking may do me some good. Well by the time we rolled out of the driveway, it way after 4 with a little daylight left. Rats! First I had to wait on Brian as he was leaving work, grabbing a few groceries and hitting the bank. When he got home, his dad called complaining about his car not running. This has been going on for a week. He got a new battery, but it was dead today. The vehicle is almost 24 yrs old now too. He talked to him a bit and went to hang up the phone and it fell behind the computer desk. He tried to retrieve it, but couldn’t. He’d get back to that. So we headed near a campground cache. It was suppose to be a fast grab and dash, cache and dash or whatever. We parked across the street near the train track and headed over. The GPS found it right away near an evergreen-had it in no time. 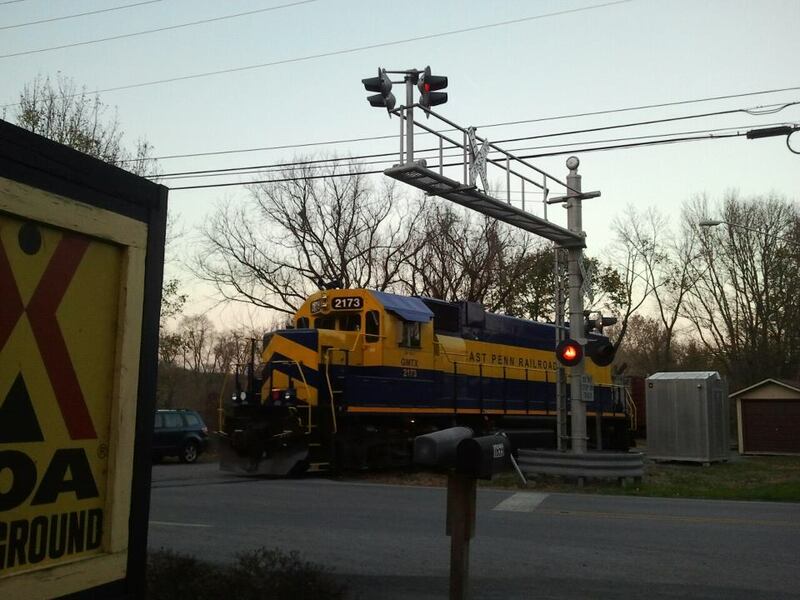 But we happen to catch the engine coming in and since they had to cross a street-they pulled the whistle. We were right there and it almost blasted our socks off! Two guys got out of the engine, climbed into a car and took off. The cache was neat! It was a pet food container with the swag beginning in either bowl. There was a separate log. 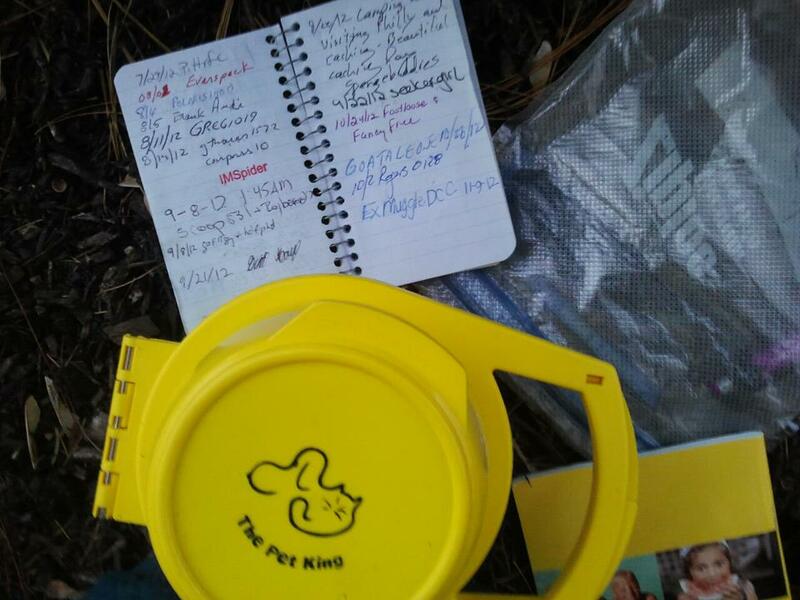 The next cache was near an abandoned building and the Brandywine creek area. 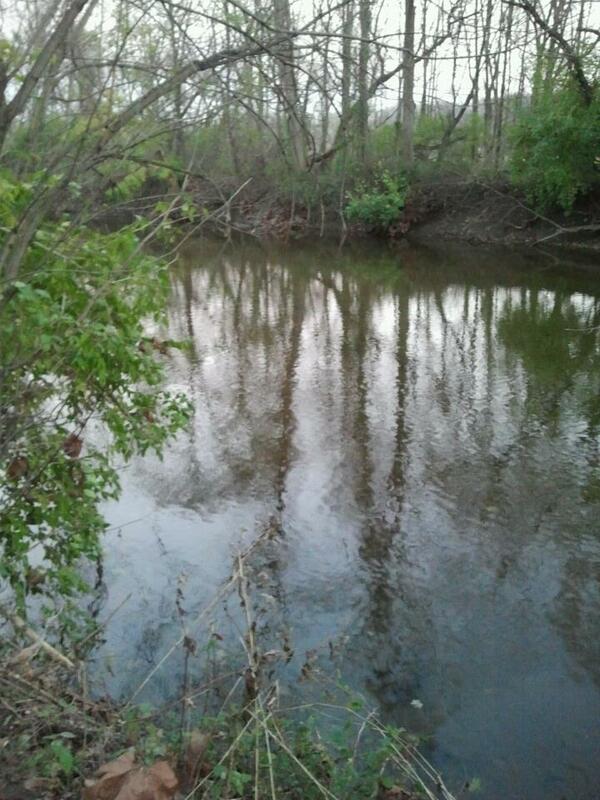 We scared a few deer, but I believe we were about 200 feet too far away and it was getting dark, so we gave it up. So we will not go out cache hunting so late this time of year. It’s just scary. I’d love to find a night cache where people use reflectors, etc.. I have yet to find one listed. Tomorrow is a book sale-we got excellent buys and had almost the entire place to ourselves last year. Wonder if that will change? I got Christmas gifts then too. And I know there are a few caches in that area too!